Union Petroleum and Natural Gas Minister Dharmendra Pradhan on Saturday said that for the first time, seven refineries and petrochemical complexes will begin their functions in India. 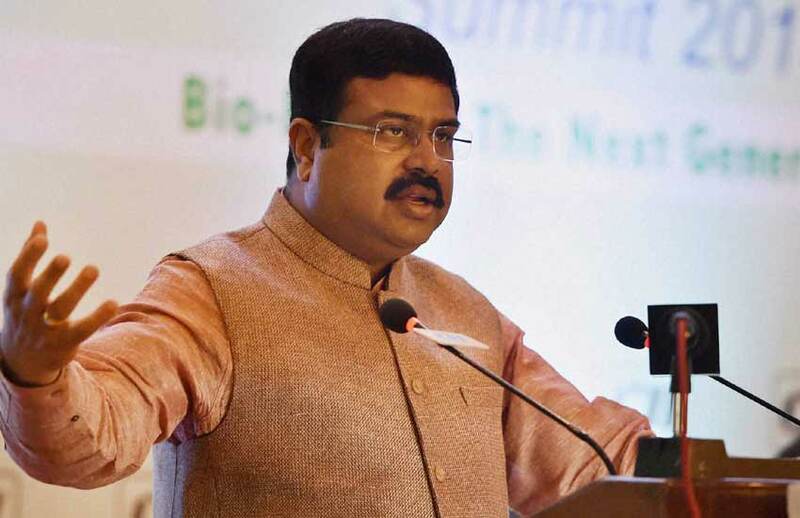 Addressing the media, Pradhan said with all clearances and tenders, the refineries and petrochemical complexes will start from January 16. "For the first time, 7 refineries and petrochemical complexes are about to begin their functions in India and will go on floor from 16th Jan, with all clearances and tenders," he said. Denying Congress Party's claim that Prime Minister Narendra Modi was re-laying the foundation stone of the Barmer refinery project in Rajasthan, Pradhan said, "Congress is raising objections that they have already laid the foundation stone of the refinery. These are false claims." Earlier on January 6, Former Rajasthan chief minister Ashok Gehlot has opposed the upcoming foundation laying ceremony of an oil refinery in Barmer by the Prime Minister saying it had already been performed four years ago. In a letter sent to Prime Minister Narendra Modi yesterday, Gehlot said former Congress president Sonia Gandhi had laid the foundation stone of the refinery in September 22, 2013. Reacting to which, BJP general-secretary Arun Singh demanded an apology from Gehlot for "misleading" the public over re-laying of the foundation stone.